Yesterday, Katie and I went to a super fun Christmas lunch at the tearoom in Golightly's. It was really special. Each little girl had a letter from Santa. They also got a teddy bear and some other goodies. And Santa was there too! Katie did not want her picture with him, so I did it! We each got our own tiered tray of food. And the girls got little teapots filled with pink lemonade. My friend, Sharon, and her daughter Catherine came too! Santa was determined to get his picture with Katie. She warmed up to him a little bit when he came to our table. We had the best time! I can't wait to do it next year! So after our fun girly tea party, Katie and Marcus left to go to the deer lease for the night! 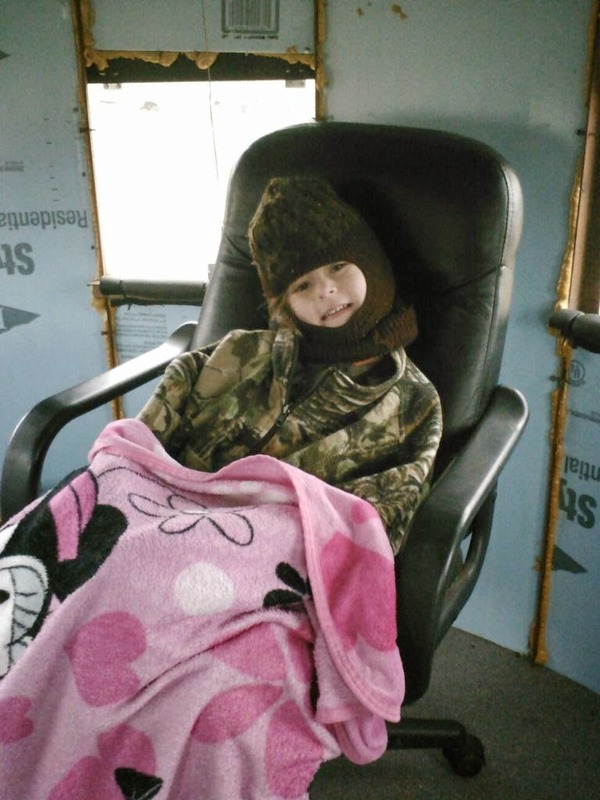 This is Katie this morning in Marcus's deer blind. It was freezing! 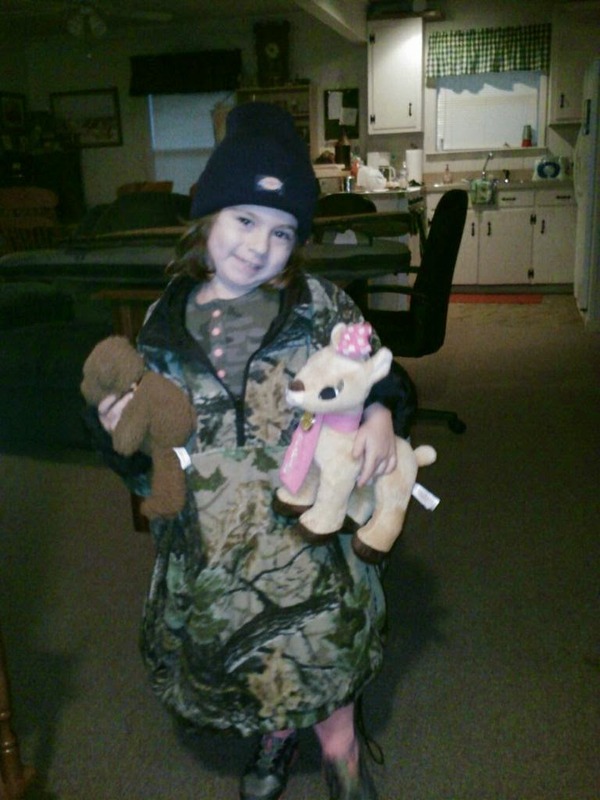 And Marcus left Katie's overnight bag on our kitchen table, so she had to wear his clothes to stay warm! Look! Katie got herself bear and a reindeer. She's getting a well rounded upbringing that's for sure!